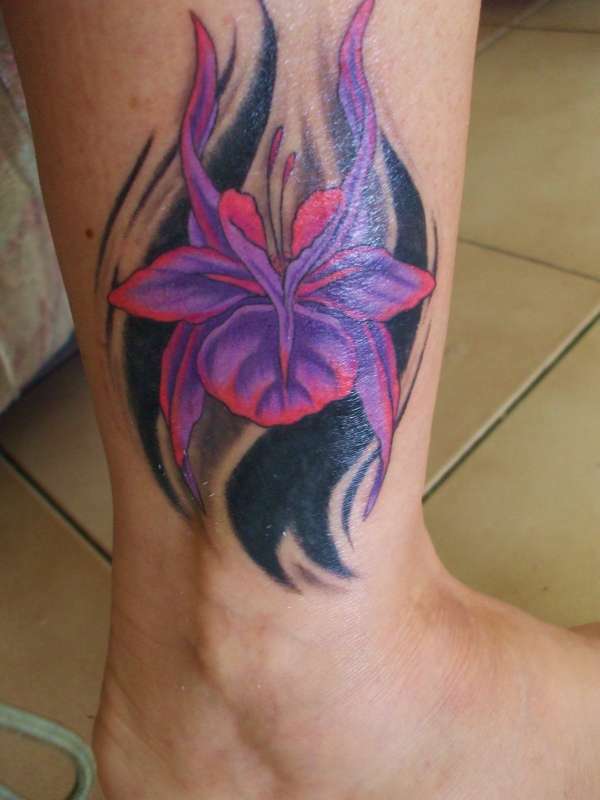 This orchid tattoo is a cover up of a very ugly feather! And also a memorial to my late Grandma whom i adored. I love the colours and detail at the time of posting this the artwork is only 2 days old. Inked by the very skilled and talented "Driz" at 'Tattoo Thirst" in Currumbin Qld Australia! the color work is cool as, the tattoo flows nice..